Walking cane probably manufactured from a damaged mahogany (?) wooden propellor in the 1930s. Approximately 88cm in length. Simple tapered shape with a pleasing bulb top. 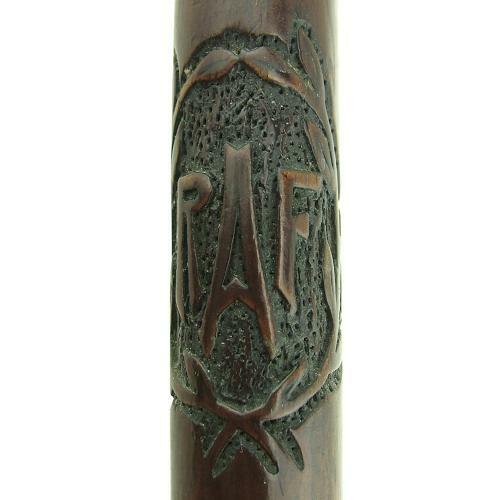 Nicely hand carved 'RAF' motif. There is light scratching on the shaft and wear at the top. Metal end ferrule missing. Somewhat annoyingly I believe that this was present when purchased. Stock code M22796.